We talk a lot about the benefits of cleaning upholstery and of course carpets. But we rarely talk about the need to vacuum your carpets. Of course vacuuming is something people tend to do on a regular basis, it keeps the dust at bay and obviously removes surface dirt from the carpet. However one thing people don’t tend to do that often is move furniture to vacuum the whole carpet. 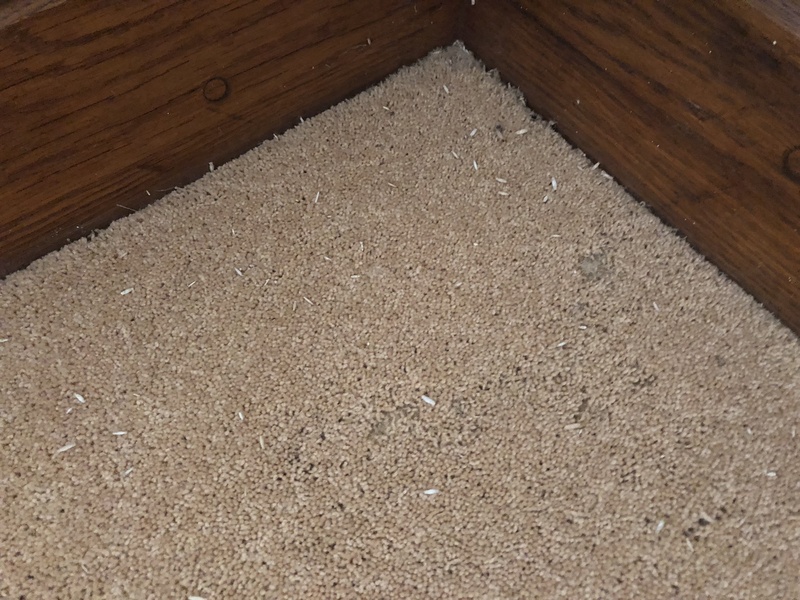 One massive reason to move furniture to enable you to vacuum the whole carpet is to check for bugs and insects that may have decided to move in under the sofa, bed or wardrobe. Only recently we encountered this very problem when we went to clean the carpet in house in Wigan. The home owner is a clean and tidy person without doubt, however they hadn’t often moved furniture to vacuum underneath. When Manor House Carpet and Upholstery visited to deep clean the carpet we found an entire tribe of moths had moved in under the sofa. This tribe of moths had started to eat away at the bottom of the curtains and made a home quite happily in the corner of the room. Irrespective of how many times you have your upholstery or carpet professionally cleaned, it pays to move furniture and vacuum away all those potential new house mates. If you have any question regarding carpet and upholstery cleaning in Wigan and the surrounding area contact us today.